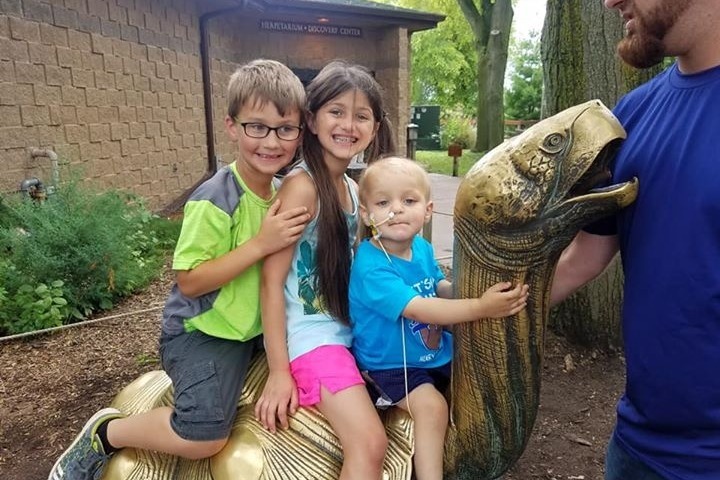 Hudson was diagnosed in early June 2018 with Ewing Sarcoma after suffering from severe leg pain for weeks. A few weeks before his diagnosis he lost his abilitly to walk. The tumor in his pelvis was pressing on the nerves below his spine causing his leg pain. 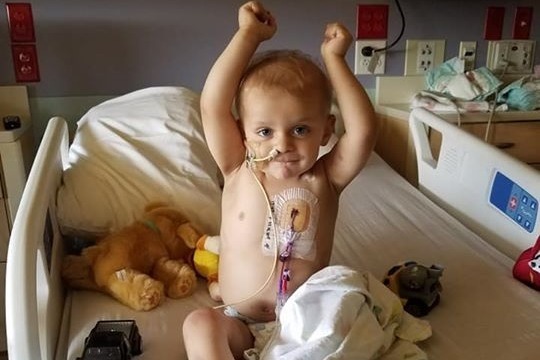 A few days after the mass was discovered Hudson had surgery to remove the part of the tumor that was pressing on his spine. The surgery was successful in reducing his pain level greatly. His chemotherapy started 3 days later. 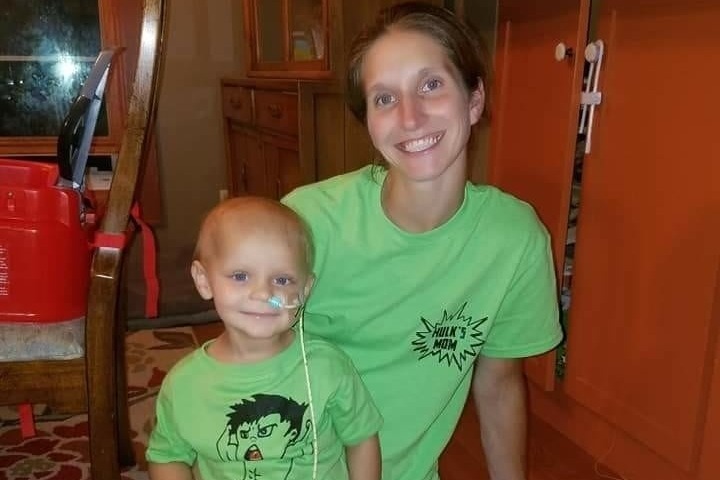 Hudson has spent many of his days since his diagnosis in the hospital either for inpatient chemotherapy or from complications from his chemo (low blood counts and neutrophenic fever). 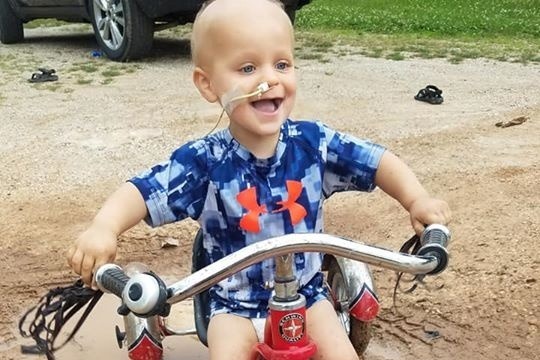 To date Hudson has recieved 4 blood transfuaions and 3 ambulance rides from the local hospital in Green Bay to Madison where his treatments take place. 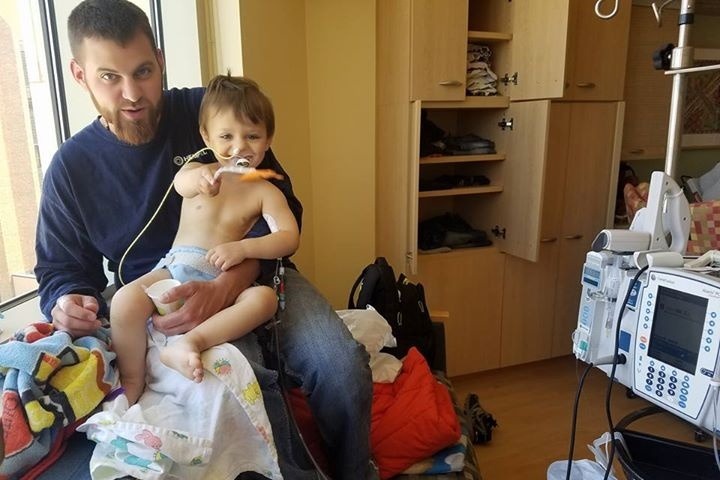 The main reason for this page is to help cover the cost of his ambulance rides as well as help the family's basic needs since mom has left her job to take care of her little Hero fulltime. We want to thank everybody who has donated to Hudson's go fund me campaign from the bottoms of our hearts!! We feel so loved and supported by everybody. This campaign has relieved alot of our financial stress of this journey. Hudson is done with the first step of this chemotherapy plan and will have scans done next week to determine his radiation treatment plan. Hudson still has 6 weeks of radiation on his pelvis, 20 weeks of chemo, a stem cell transplant and 2 weeks of radiation on his lungs to go but #hesgotthis! !